It’s hard to believe that the hubby and I have been fully settled into Columbus for an entire month now. We love our home, and have already met some really incredible people. So what better way to celebrate the start of this phase of life than to have a house warming party? Over the weekend, we had a great time mixing and mingling with our new friends, and I think they enjoyed meeting each other, as well. I had a great day on Saturday, making all sorts of little snacks and treats. As you probably know, this is my idea of a perfect Saturday. Recipes are forthcoming! 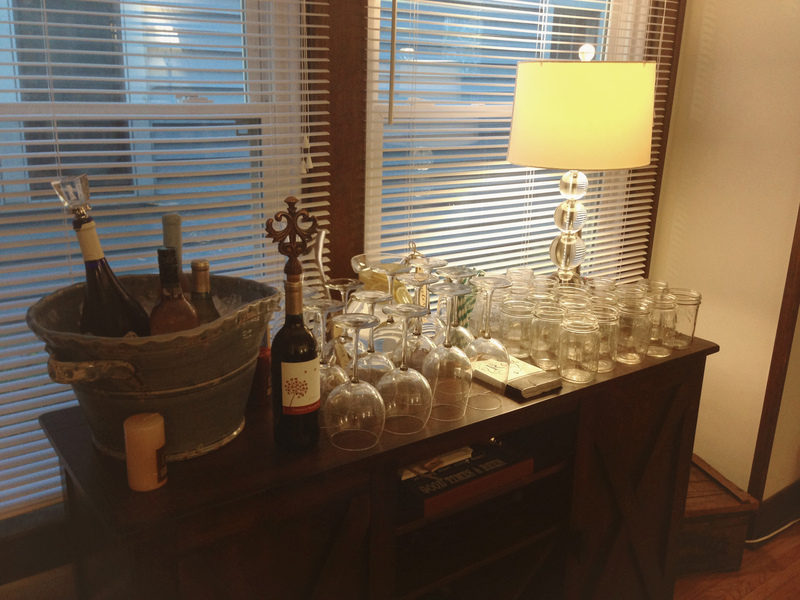 We set up our buffet with food, and our bar with plenty of wine. 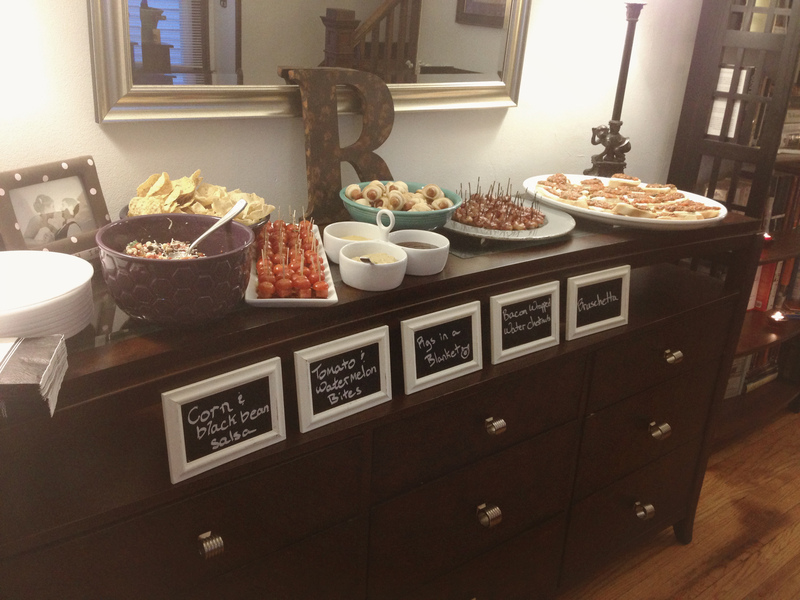 Not to mention, with so many wedding decorations still floating around, I used a few chalkboards to label our appetizers. 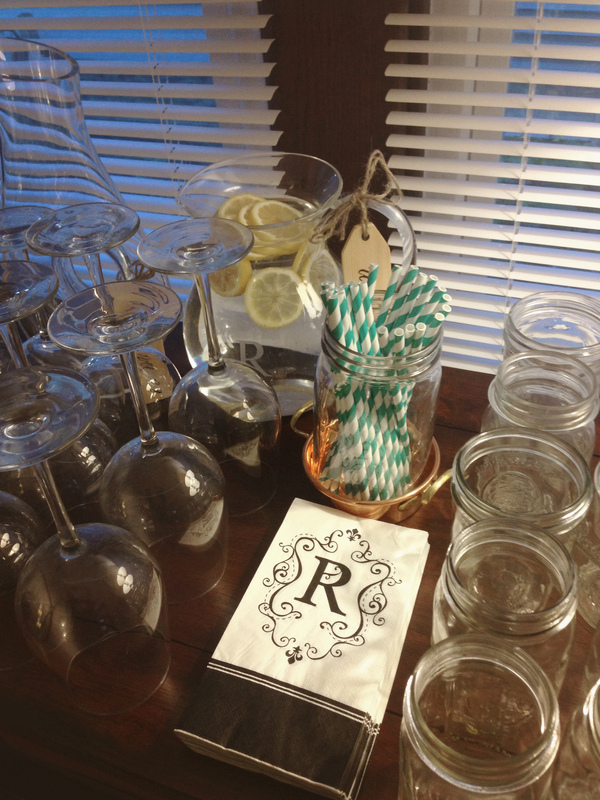 And big thanks to my friend Lindsey who gave me some “R” napkins…what better time to use them?? We also had some Yazoo Dos Perros from Nashville, which most of our guests had never had and I think was very well received. It also turned out to be the most PERFECT night. 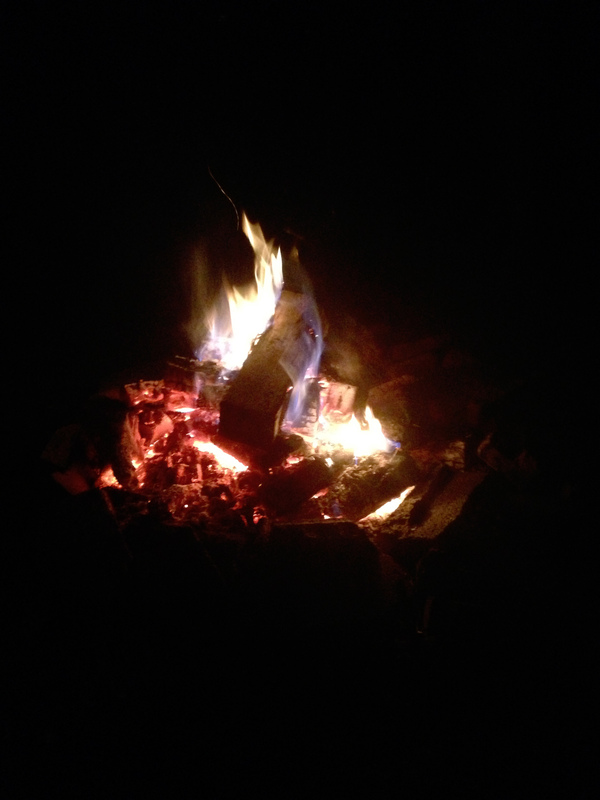 Jonathan built a great bonfire, where we all spent a good amount of the night. I only wish we had marshmallows on hand! 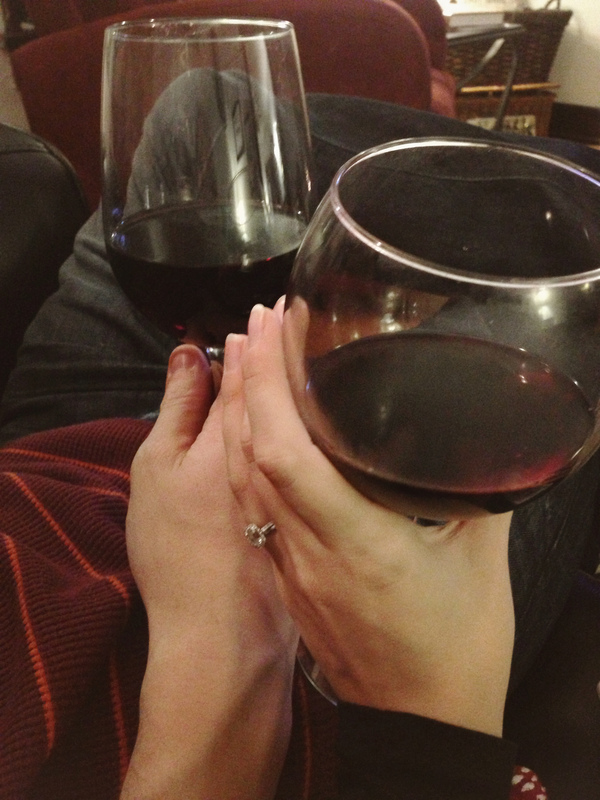 When everyone left, we ended the night with a glass of wine and a toast to a great night. We are so grateful for the friends we’ve made so far!